It's quite a challenge to find that right mixture between what is realistic versus what is fun. We have 55 Cancri in the game and it has the exopolanet that NASA discovered. Of course, we can only speculate what that planet is and we do have a red dwarf in that star system as well. One of the more interesting things players will discover is that many (if not most) star systems actually have multiple stars in them. Our solar system is somewhat unusual in that respect. My question to you is, how realistic does the game need to be for you to have fun? Realism isn't needed at all to have fun. Often realism works against fun. Realism can be fun in itself though as long as you find a fun way to do it. Honestly...? If I had to sacrifice one, I'd keep fun over realism. I like to put it two different ways: "I want science fiction more than I want science fiction." Or: "I want more Star Wars and less Star Trek." 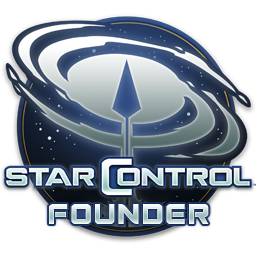 So far, my only objection to what I've seen in Star Control Origins is that I don't see Zeta Reticuli on the galactic map. That's where the Grays are allegedly from...and I wanna meet them there! i don't want to travel 4 billion light years just to find a system/planet/star or exotic phenomena, that is based on an imaginary toon world. I want to see the actual worlds that can be expected via what science today know exists or could exist ! ! Tastes are subjective I suppose. You have a subjective preference for realism that stands in for any other thing that could be fun for you in that case. That's true for a lot of people who play simulation games like Aces over the Pacific or Red Baron. They don't care that it's utterly unfun for many people to be at a point in the war where their side is completely outgunned by the enemy as long as it was realistic, and they really were outgunned for a brief period of time before a new weapon entered the war on their side. SC2 felt realistic, the universe,star systems and planets, space itself, the physics and tech. Yes you cannot have a 1:1 replica of the universe but SC2 was made to be as realistic possible without compromising the fun aspect. It's a delicate line, it can be be realistic and fun. Yes the Aliens and a few other things is not 100% real, but that's not what i'm worried about because it is possible to encounter aliens on other planets in our reality, i personally believe we might rather find exotic animals and rather other humans far out in space, rather than aliens as we want them to look like, but having aliens in SC2 or SCO is close enough to humans, ie in the sense of interesting intelligent creatures. However the universe/star systems/ planets, physics, technology was all based on science or science fiction which means technology that could be possible in future, And the universe as we know it was for the most part as real as it could be without sacrificing the enjoyment factor. I like fun takes on realistic things. So we have the stars mapped out and roughly know what's in certain solar systems, but we don't know the specifics of any given planet. I think that's where you take liberties in what that planet is like given it's proximity to the star and any other factors you want to account for. I definitely enjoyed exploring worlds in any system I visited in SC2 - never knew what you were going to find (unless you were using a guide). That's something about which I've often wondered: did SC2 (and will SCO) put stars on the map where we'd find them on an actual starmap? I mean, it doesn't really change whether we're having fun if they aren't, but it seems like the kind of detail I wouldn't be shocked to find. I heard that SC2 did not put stars in their actual positions. Frogboy is it ok for me to say here on the non-founder's forum whether SCO will do actual star positions? Aww, heck...I'm on the Codex on Steam; if you wanna continue this there, I'm game. Or not; isn't a huge deal. Just a wonderin'. Elite has the realistic Milky Way with pretty much every night sky star and nebula being where it's supposed to be and that's just tiny corner of our galaxy. And it's amazing. But it also uses realistic proportions and it really plays on the space feeling. Which is vast, cold, quiet and empty. So for true space exploration we have that. From other games that can't possible be as realistic I would expect fun. Planets in SCO looks tiny and alive, I would stick to that. Did you know most stars are either red, or trinary systems. Couldn't figure out which way it is. It said both. It is all about the suspension of disbelief and keeping to the rules that have been established in the fictional universe. I am willing to accept a lot of unrealistic rules with magic and sci-fi technology. However, once you break your own rules without some sort of believable explanation, you've just ruined the fantasy. Being an mechanical engineer I am more inclined to realism but there should be sweet spot. Also you can never satisfy everyone so make the game really easy to mod. People get whatever flavor they want. Also the new XCOM and XCOM 2 games really had good options to customize the campains allowing the people to have a variety without modding the game. But it did not stop people from modding the game as I said it is hard to satisfy everyone.